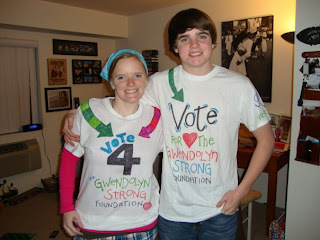 Gwendolyn Strong Foundation : Blog : Some Remarkable Grassroots Efforts—THANK YOU! Some Remarkable Grassroots Efforts—THANK YOU! We are still processing the remarkable events that took place over the last week and we can't stop thinking about the incredible stories we heard, the amazing things people did, and the sheer relentless motivation to get SMA the national attention it deserves. When we stop and think about the 500,000+ other very worthwhile causes that began the first round and the 99 much larger foundations we competed against in the final round, we feel so very proud of the passion behind all of our collective endless pushing. We are filled with enormous gratitude by what we as a group accomplished. People keep thanking us, but we did this TOGETHER! 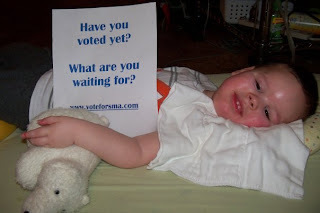 This would not have happened had we not had such incredible support by those both in the SMA community and those who have been touched by a child or a parent walking this difficult SMA road. 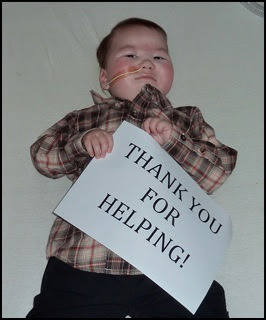 One thing is certain, we all really were just part of a MIRACLE! Here are just some of the examples of the wonderful efforts that occurred this week -- we'd love to know more, so leave a comment about what you did, witnessed, or heard about. 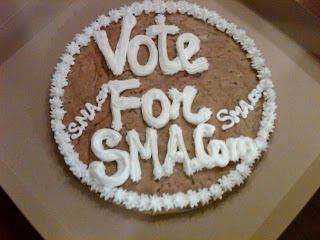 Schools, churches, synagogues, businesses, companies...rallied behind GSF and SMA!!! 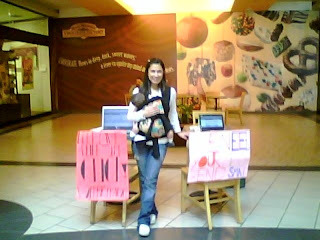 So many people joined Facebook to vote -- many who were adamantly anti-Facebook and many seniors in their 80s and 90s!!! 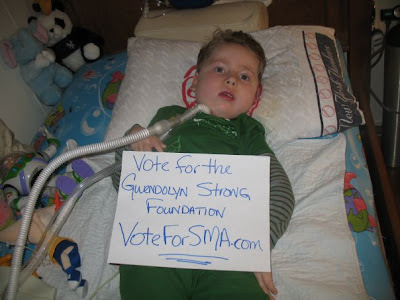 We absolutely loved seeing the many thank yous being sent out across Facebook, Twitter, and email: SMA families thanking their friends and family for voting, our friends thanking their friends, friends of friends sending thanks...and even the celebrities who supported GSF thanking their fans for voting and caring about SMA! And we are so, so filled with gratitude! We can't thank you all enough for believing in us, fighting for this, and stepping up big time! We feel an enormous responsibility to steward this money and we will walk you through every step of the process. We did this together! And it is incredible!! !